Most just know it as the home of the King, but there is a lot more than Graceland going on in Memphis. The city is the largest in Tennessee, with more than 650,000 people living there. Although it has bloomed to be the biggest, it is also the newest of the large cities in the State, with a history only reaching back two hundred years. Memphis is home to a number of institutes of higher education, but the largest is unquestionably the University of Memphis. With more than 21,000 students and 2400 staff, the University is a significant factor in the local economy. 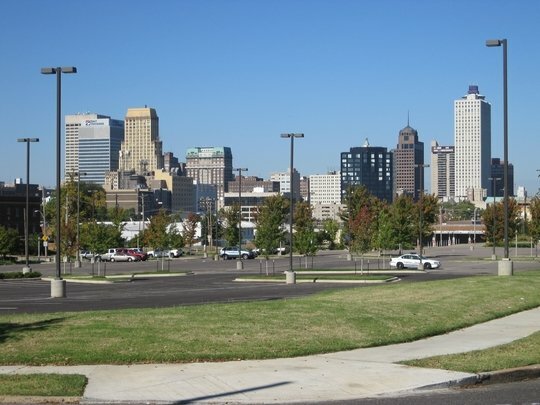 Looking for an apartment in Memphis is best done in the summer. People are less likely to move during the winter, especially from southern cities. This means that vacancies start cropping up with greater numbers as you move from spring into the summer months. Set up multiple appointments to view several apartments. Continue to attend your viewings and meetings with landlords even if you've decided to apply for one of the first ones you've viewed. An application is not a guarantee that you'll get an apartment, and you want to keep working on your search until the lease is signed. Getting round downtown Memphis is easy via public transit. The MATA system services the downtown core well enough, but to get to anywhere on the outskirts of the city with any degree of reliability you'll need a car. Poplar and Union are both major streets that run the length of much of the city from East to West. The pilgrimage to Graceland should be obligatory for anyone in Memphis. The Rock ‘n' Soul Museum on Beale street is a great way to get introduced to the musical history of Memphis that includes, but goes much beyond, Elvis. A carriage ride around downtown is a romantic way to spend a summer evening. Finally, famous Beale Street is still the best place to hear live music and get a drink any night of the week. There is no question that the top attraction in Memphis is the legendary home of the King. Touring Elvis Presley’s magnificent Graceland is a glimpse into the history of Rock and Roll, and into the life of it's greatest star. Touring Memphis is all about the music even beyond Graceland, and a visit to Sun Studio is a must for any music fan. Elvis, Johnny Cash, Jerry Lee Lewis and many other early greats recorded some of their greatest hits at this famous recording studio. There are also a number of great music museums in Memphis, including the Stax Museum of American Soul Music. A local legend in Memphis is Gus’ World Famous Fried Chicken. Locals will have you believe it is the best fried chicken in the world, and the only way to put the theory to the test is to try it for yourself. Restaurant Iris is one of the most in-demand fine dining establishments in the city. It is well worth the trouble, but you'll need a reservation far in advance. Almost every list reviewing Memphis restaurants will agree that Folk’s Folly Prime Steak House is the definitive steakhouse in Memphis, and somewhere you need to go if you love a good steak. Finally, for some fantastic Tennessee BBQ, visit Central BBQ, especially during the summer months when you can get a seat on the patio. The Flight Restaurant and Wine Bar is perfect for those who like to explore new culinary delights. The small plates and taster-sized drinks ensure that you can try as many new things as possible on your night out. Silky O’Sullivan’s is a Beale street legend, and includes duelling pianos and an outdoor patio, complete with goats who entertain the customers. Blues music lovers can't miss out on B.B. King’s Blues Club. A new surge of microbreweries and their accompanying taprooms has come to Memphis. The Wiseacre Brewing Company has a great taproom for those who want to sit down and appreciate some truly great beer. Memphis is the kind of town where the culture is largely about the music. When it comes to music in Memphis, you should think “Beale Street”. There are bars all up and down Beale Street, and on any given night you will here music coming out of dozens of them. Beyond music though, there is also a considerable history to Memphis that is worth learning about. The National Civil Rights Museum is an important testament to the battle for civil rights that was fought by Dr. King and many others. The Memphis Rock ‘n’ Soul Museum is also worth visiting to get an overview of all the great music history that has taken place in this southern town. The largest Memphis event is the Memphis in May International Festival. Beale Street is transformed during this festival when musicians descend on Memphis for a 3-day celebration of great music. At the same time, one of the world’s most prestigious barbecue competitions is taking place, with competitors from all over the world coming to prove that their barbecue is the best. Great food and great music make the first weekend in May a party that Memphis residents look forward too all year long. Finally, although he may no longer be with us, Elvis remains the King, especially in Memphis. Elvis week brings lovers of The King from all over the world to celebrate his life and music. It shouldn’t be overlooked that one of the best places to shop in Memphis is Graceland itself, where you can get Elvis souvenirs straight from the source. If you like the big mall experience, then the Wolfchase Galleria is where you'll want to take your shopping dollars, as it features all of the typical big name mall stores, along with a movie theatre and several dining options. Antique hunters should head to the Cooper-Young area of town and browse the several shops. For the most picturesque shopping district in town, you need to visit the Collierville Square, which looks like every perfect picture of a town square that you've ever seen. The Memphis Tigers are the athletics program at the University of Memphis. This Division I program is strongly supported by the local people, and fans turn out in droves for games in almost any sport. The Tigers compete in 18 sports between men’s and women’s teams. The basketball team plays right on Beale Street in the FedEx Forum. The football team has also been competitive, and both, along with the baseball team, have produced a handful of athletes who have gone onto success in the major leagues, including DeAngelo Williams of the NFL and Dan Uggla of Major League Baseball. When you talk about outdoor recreation in Memphis, everyone assumes you're talking about Shelby Farms Park. Not just because it is the best park in the city, but also because it has come to be viewed as one of the best parks in the world. It includes miles of trails, opportunities for horseback riding, an off-leash dog park, and many other recreational opportunities. Hunters and fisherman also have ample opportunities in the area immediately around Memphis. One of the best hunting areas is in the Meeman-Shelby Forest State Park, and trout fisherman should be heading to the rivers in the nearby Ozarks.